Oasis guitarist Noel Gallagher has been shooting his gob off again, saying that he spent £1million on drugs, and loved every second of it. 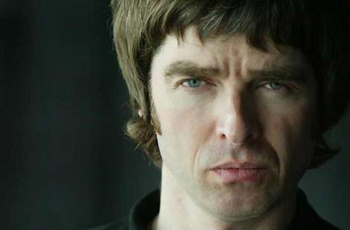 In the interview with Italian newspaper Corriere Della Sera, Gallagher also said he pitied the more clean living of his contemporaries. "I look at Chris Martin, who says he has never taken drugs in his life, and I think he is an idiot," Gallagher huffed. "Doing drugs is the most beautiful thing about being in a rock band." "Up until 1998 I must have spent £1 million on drugs - then I stopped, because it is bad for your health, brain, life and for people around you. But while you use them - except for heroin which kills people and which I have never tried - as you lot would say, 'Mamma Mia'." He added: "We get on the stage and play. I have been to loads of concerts where bands don't play, they just talk about politics. "At a U2 or Coldplay concert there is always a message about poor people or people dying from hunger. OK, but can't we just have a nice evening? Do we always have to feel guilty?"